The KissFAQ - It's NOT Kiss (Music confusingly and WRONGLY attributed to Kiss)! Songs alleged to be, but in reality not by KISS or Barely Related! This song was alleged to be a Wicked Lester or early KISS demo, at a time when few authentic versions of the available material circulated, and has turned up on numerous demo collections and bootleg CDs. It has nothing whatsoever to do with KISS or related members and was actually by the band Tattoo and was released on their 1976 self-titled album (Prodigal P6-100141S1). Tattoo was an offshoot of the Raspberries, who had opened up for KISS on New Year's Eve 1974/5. 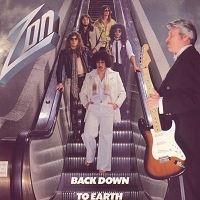 Featuring Wally Bryson the lineup for the album included Jeff Hutton (Keyboards, played live with Raspberries and on one of their albums), Dan Klawson (Bass, ex-Choir Band), David Allen Thomas (Guitars) , and Thom Mooney (Drums, ex-Nazz). The history of the band was short, "what had started with promise ended in disaster: a poorly mixed record badly represented what was reputed to have been a powerful, ballsy stage band. The label withdrew support for the album and tour, yet strangely offered Tattoo a second album - an offer that was refused by the band. The group broke up shortly thereafter in 1977" (http://www.geocities.com/Hollywood/Lot/9447/tattoo.html). "Give It To Ya Easy", the song was written around 1972 by Wally (Tattoo Is Making Its Musical Mark by Jane Scott). Wally recalled, "In 1976, we got signed to Prodigal, Motown's 'white label'. In the studio, the tracks we laid down had a good sound, but they killed it in the mix. The record was terrible. They mixed the tracks without the band. The producer, Ray Ruffin, red-lined all the VU meters. The album was basically white noise. I was sick about it" (Joyce Halasa). Note: Thanks to Ken Sharp for putting me on the right track about this song!! There's not a whole lot to say about these songs. They were, for a long time, attributed to Eric Carr and/or his post-Disco band Flasher. However, a fan once played the song for him and he denied having anything to do with it or being able to recognize it, though that did very little to stop it circulating in fan circles. 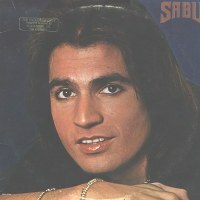 It was, in fact, by Paul Sabu and released on his self-titled 6 track EP on MCA Records (MCA-3236) in 1980. 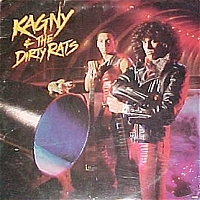 The song "Rock Me Slowly" was also released as a single at the same time (MCA-41211), though whether "Wet And Wild" was the B-side is unclear, though this would explain why the two are together on the KISS collector's tapes. The son of actor Selar Sabu, this release by him, and his work with disco artists such as Debbie Jacobs and Ann Margaret, along with his own disco-tinged release on Ocean Records, "Loose Lucy" EP, in 1979 (Ocean 7510), confused listeners and didn't allow him to gain broad appeal. His band for the "Rock Me Slowly" EP included bassist Rick Bozzo, keyboardist Steven Presley, and drummer Dan Holmes. Paul Sabu would produce tracks on the Silent Rage album for Simmons Records in 1989 (Note: Thanks to Jelle Jansen for the nudge in the right direction on this one!). Both of these songs were alleged to have been a demo by Mark St. John, however, the tracks were actually from the Canadian band Zon's 1979 album "Back Down To Earth" that was released on Epic JE-36022. Click on cover for large scan. "Suicide" was the fifth and final track on side one of the album and was written by Brian Miller; "Take It From Me" was the second song from side 2 of the album and was written by Denton Young, Brian Miller, Howard Helm, Jim Samsom, and Kim Hunt (the whole band). The album had been produced by Don Lorusso and Dale Jacobs and was recorded at Manta Sound Studios in Toronto, Canada. The KissFAQ™ is an unofficial & unsanctioned fan website.